According to a report, team 'Uri' is all set to reunite for a project based on the life of Mahabharata's mythological character Ashwatthama. After delighting fans with Uri: The Surgical Strike, the team of director Aditya Dhar, Vicky Kaushal and producer Ronnie Screwvala (RSVP Films) are all set to collaborate again. 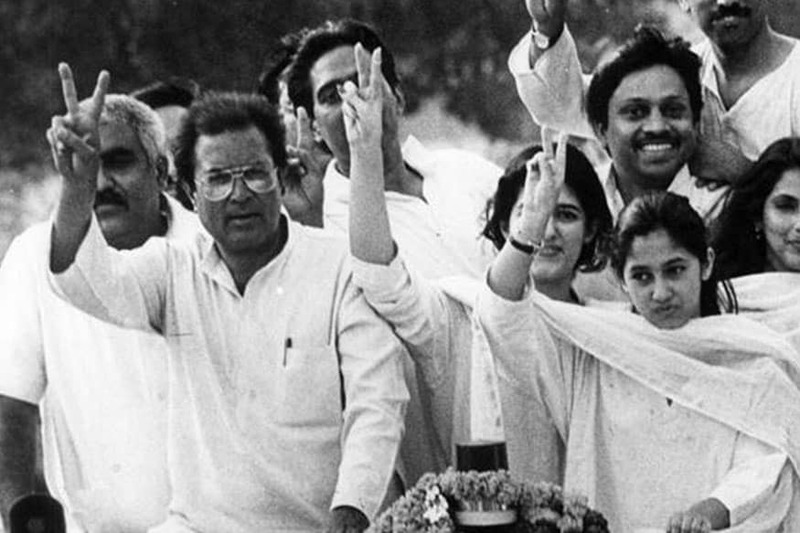 This time for a historical-drama project based around the epic Mahabharata. According to a report, the dream team's next film will see Vicky headlining the show as Ashwatthama, Mahabharata's mythological character. A source close to the project, which is currently in development phase, told Mumbai Mirror, "After Uri, the makers wanted to return with something big and interesting. Aditya has been working on this script since a long time, even before Uri released, and when he sounded out Ronnie and Vicky, they immediately jumped on board. The film will be mounted on a big scale and will be shot later this year." The report adds that the makers are aiming to go ahead with the film's shoot sometime later this year and aiming for a mid-2020 release date thereafter. 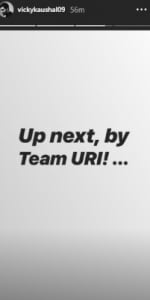 Vicky himself confirmed his involvement in a project with team Uri in an Instagram story. Speaking to PTI in the matter, Aditya's spokesperson said, "It is not a period film, it's a superhero action film set in modern times." It is not news that Uri: The Surgical Strike was a massive box office success. The film has gone on to become one of the biggest films of 2019, yet. Uri also brought Vicky in the limelight as a mainstream Bollywood actor, who has it in himself to deliver a power-packed solo performance and someone who can subsequently carry a film on his own shoulders. The reunion of team Uri comes at the backdrop of massive praise that the film has gone on to earn for the makers and Vicky. On the movies front, Vicky is part of Shoojit Sircar's Udham Singh, a biopic on the freedom fighter. He also has Karan Johar's next directorial Takht lined up. Karan's film will see Vicky alongside stars like Ranveer Singh, Kareena Kapoor Khan, Bhumi Pednekar, Alia Bhatt, Anil Kapoor and Janhvi Kapoor.